Dan Davis of Stiry which stands for Stories that Stir also has a passion for highlighting the good in life and sharing others’ stories, but for him, through video. I was able to have Dan and his lovely wife Caroline in my studio to share their story as a couple. For anyone is a relationship you know how key communication is. For couples on an entrepreneurial journey together, it is vital. 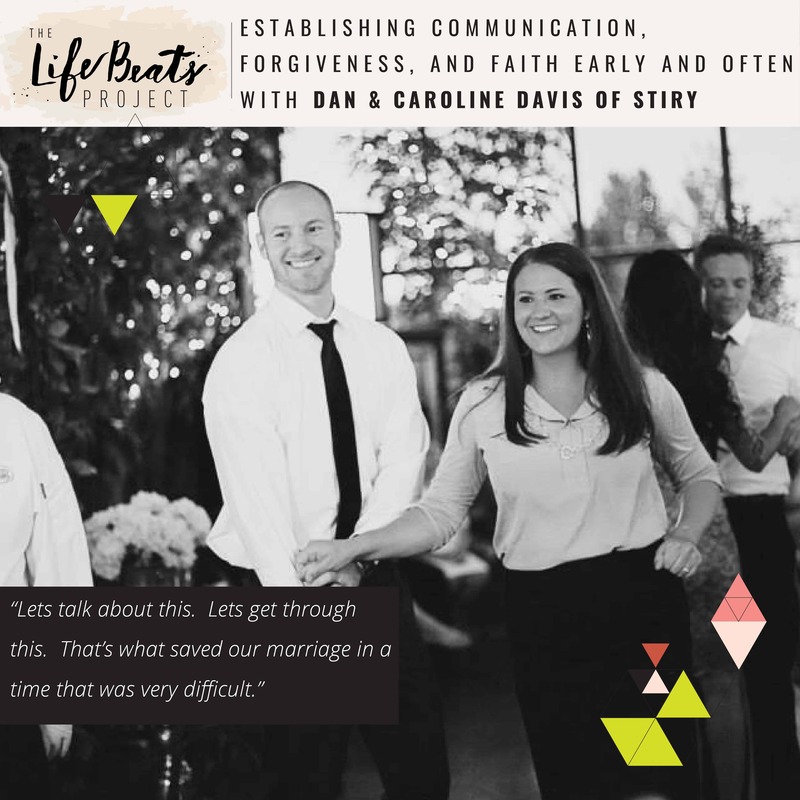 Dan and Caroline share how they created a standard for open communication between each other right from the beginning of their marriage and what has helped their marriage to stay strong through the rollercoaster ride of having your own business. Caroline tells how in the beginning it was a struggle to talk about her feelings so quickly but how that saved their marriage in a very difficult time. Dan tells how after one year of blood, sweat, and tears into starting his business he hired someone to assist him that ended up stealing his equipment and turning a large part of his clients on him and would eventually cause the downfall of that business. Dan shares his battle to forgiveness and what he did to finally let go years later. Caroline tells how she felt when it came time for Dan to want to start a new business and why she is supporting him. She also honestly answers my question as to what her personal purpose is and if she feels her own personal growth has been stunted by the support she lends her husband. Dan shares the path of why he has decided once again to start a new business, and not just any business, but his life’s work through Stiry, to tell stories of others whose stories may not otherwise get told, as well as provide everyone with what he calls ‘perspective moments’. Listen and be inspired in your own relationships and life’s dreams and goals by this incredible couple. Want to know if this episode it for you? This episode is perfect for someone who is looking to increase communication in their relationship. It is especially helpful for a couple in which one of them is an entrepreneur. It is also perfect for someone who has a desire to forgive someone in their life who has wronged them. It is also a perfect episode for someone who is thinking about starting their own business. It also speaks to those who are unsure of their purpose yet and want to feel comfortable in that.